I have wanted (pined, yearned, fantasized, longed), for several years now, to have new living room furniture. Well, just a couch would’ve been super! But a huge, miraculous blessing of a gift came to us this Christmas earmarked for new living room furniture and other home beautification “needs”. I have been giddy with the comfort, colors, and overall exquisiteness of our new living room. This drawing is, I’m sure, just the first of many renderings of this new furniture. 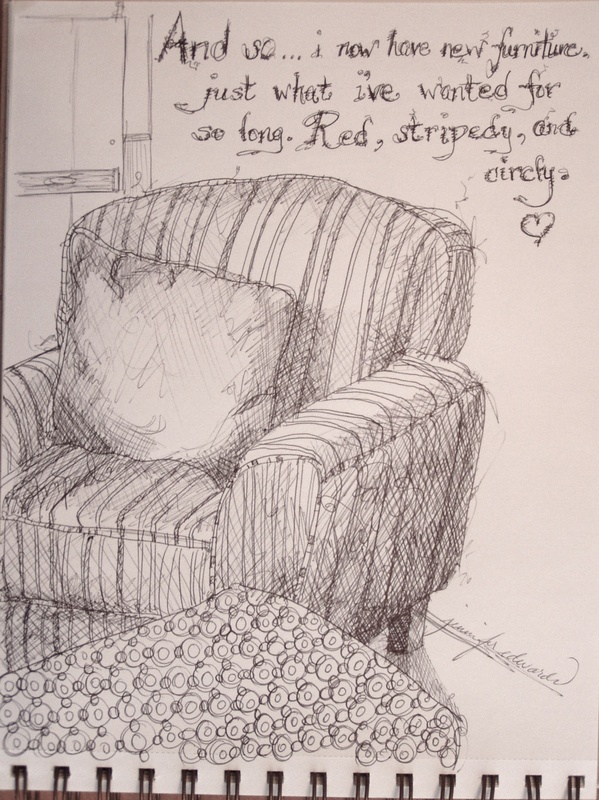 I’m sure there will be watercolors to display the lovely red couch and loveseat, the stripedy big chair, as well as the funky circle cocktail ottoman. Oh me, I just love sitting in this room drawing, drawing, drawing. The rest of the fam loves it too! What a wonderful gift!! Congratulations on the furniture and these lovely sketches! I am looking forward to the watercolor renderings!! Oh my goodness!!! Congratulations – Your excitement shows in these fantastic drawings! The furniture looks to cozy! Enjoy. 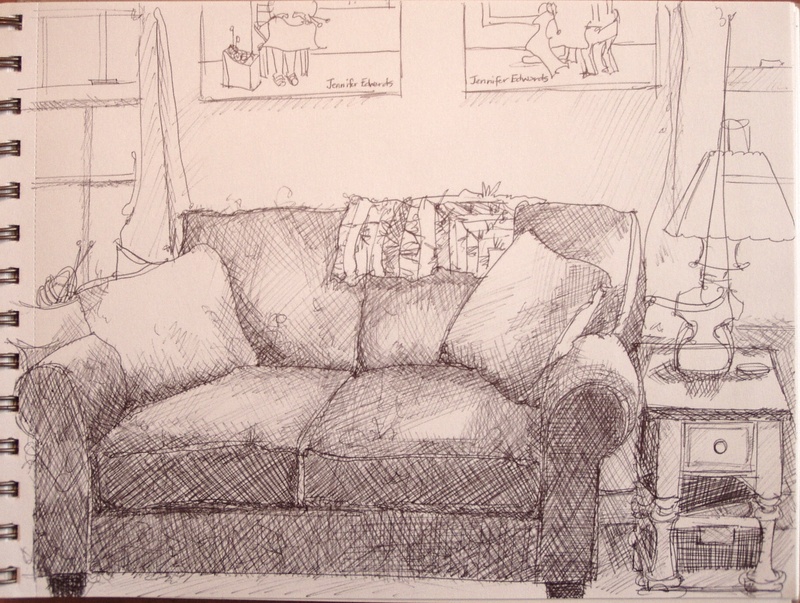 What nice drawings of your comfy new furniture! Really good drawings and I’m pleased for you, I know what it’s like to yearn, pine and desire some new furniture! Wonderful sketches! I can’t wait to see them in color! Congrats on the new furniture! Wonderful drawings and what a fabulous gift!! Enjoy!! Wow, thank you all SO SO much! !